Brought to you by CPRO! We are pleased to announce a great slate of wonderful events for you! 3rd Annual CPRO Arlington Holiday Bazaar 12/13/14 at the Career Center THIS SATURDAY!!!! 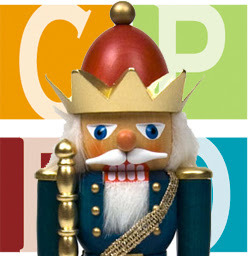 IT’S HERE – the moment you’ve been eagerly awaiting all season - CPRO’s 3rd Annual Holiday Bazaar – the biggest and best EVER! Join us THIS SATURDAY on the magical 12/13/14 at the Arlington Career Center from 10am-4pm. Find unique and wonderful holiday gifts for those you love – and for yourself – entry, parking, and holiday cheer ALL DELIGHTFUL and ALL TOTALLY FREE! When you attend this holiday bazaar, you’ll not only be spreading holiday cheer to the Columbia Pike community, you’ll be supporting over 40 local vendors. We’ll have community members who make jewelry, stationary, gourmet foods, as well as direct vendors. Attendees can also support Arlington Career Center students – cosmetology students will be there offering manicures for $10 & culinary students will have treats for sale. Wakefield High School will be on hand too – the class of 2016 will be selling holiday goods in addition to the Choir, Orchestra & Band who will sell poinsettias to decorate your home, office or give as gifts! We also will have a book vendor who will donate profits to A-SPAN. See Arlingtonholidaybazaar.org for additonal info and invite your friends via Facebook to join you for this festive and FREE event in the heart of Arlington! Wakefield Choir will sing holiday carols at noon! Our wonderful sponsors this year include Giant Food at Penrose Square, Red Rocks Arlington, Homefix Custom Remodeling & NV Homes. They make our event possible by supporting our community! We are now open for lunch and dinner, Sunday through Saturday 11:00am to 1:30am. Looking forward to serving the Pike. 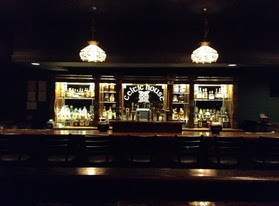 Let's give our newest establishment a hearty welcome by visiting them early & often! We have so many great vendors involved with the Holiday Bazaar - you'll have to see our Facebook, twitter orarlingtonholidaybazaar.org to see them all! Here are some great pictures of our Career Center & Wakefield students who will be at our event! ALSO: One of our #ArlHolidayBazaar sponsors, YOPP, wants to help YOU find the perfect gifts: Need help finding the perfect gift this holiday season at the bazaar? Use the YOPP app to find out what out what vendors are offering this year at the bazaar! Yopp is a mobile shopping social network that supports small businesses by connecting them with local shoppers! For more info visit www.yoppapp.com. Columbia Pike Revitalization Organization needs - YOU! Did you know that CPRO is a 501(c)3 organization? When you support CPRO, you're not giving a donation - you're becoming a member. You're supporting where you & others live, work and play. With your membership, we can continue to provide all the wonderful and FREE community events that make the Pike a wonderful place: Outdoor summer movies from mid June to mid September at two locations - Penrose Square & Arlington Mill Community Center (AMCC), Farmer's Markets in two locations which both offer SNAP benefits, Place-making events known region wide such as our BluesFest (2015 will be 20th anniversary), Annual Home Show & Expo in March, and the upcoming Arlington Holiday Bazaar! In addition, we support the Pike's residents & local businesses everyday of the year! Becoming a member is easy and inexpensive - just $20 per person, $30 a family or $40 for non-profit organization! Join today! Or have your business join us! That would be great too! Thank you in advance for your support!